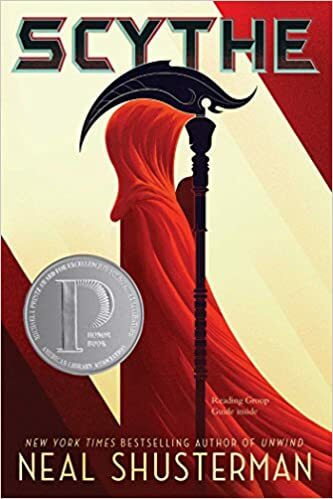 I had never even heard of Neal Shusterman until I started an internship at Simon & Schuster and discovered his Arc of Scythe series on our take shelf! 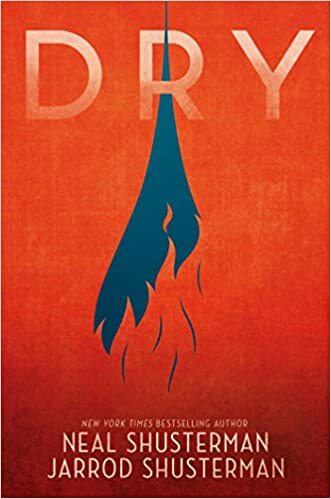 Now, I find myself eagerly anticipating reading his next book Dry, co-written with his son Jarrod. 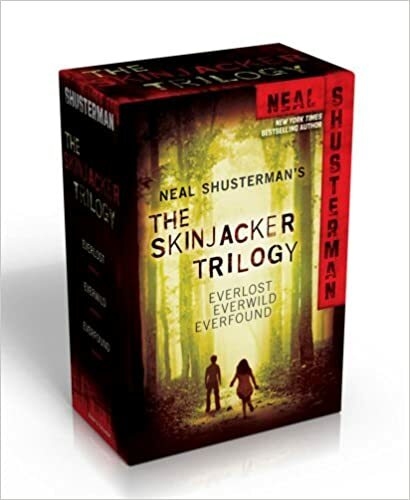 It’s already been optioned for a movie and since everyone loves his recent stuff, I’d like to take today to take a look at everything else has written. 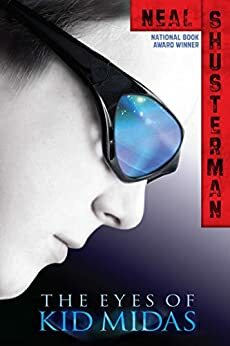 Two teens must learn the “art of killing” in this Printz Honor–winning book, the first in a chilling new series from Neal Shusterman, author of the New York Times bestselling Unwind dystology. A world with no hunger, no disease, no war, no misery: humanity has conquered all those things, and has even conquered death. Now Scythes are the only ones who can end life—and they are commanded to do so, in order to keep the size of the population under control. Citra and Rowan are chosen to apprentice to a scythe—a role that neither wants. These teens must master the “art” of taking life, knowing that the consequence of failure could mean losing their own. 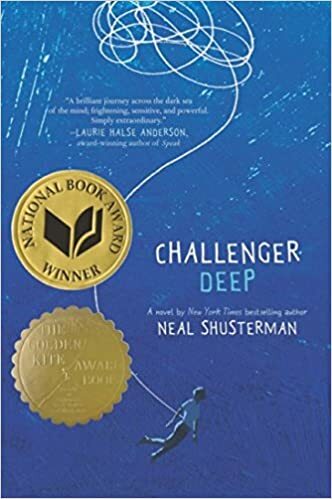 Caden Bosch is on a ship that’s headed for the deepest point on Earth: Challenger Deep, the southern part of the Marianas Trench. Caden Bosch is a brilliant high school student whose friends are starting to notice his odd behavior. Caden Bosch is designated the ship’s artist in residence to document the journey with images. Caden Bosch pretends to join the school track team but spends his days walking for miles, absorbed by the thoughts in his head. Caden Bosch is split between his allegiance to the captain and the allure of mutiny. Caden Bosch is torn. 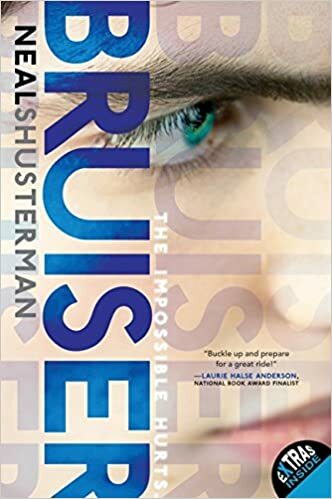 Sixteen-year-old Blake has always been the responsible one in his dysfunctional family — the one who drives safely, gets good grades, and looks after his wild younger brother, Quinn. Quinn is his brother’s opposite — a thrill-seeker who’s always chasing the next scary rush, no matter what the cost. But Quinn and Blake are in for the surprise of their lives when they’re thrust into the world of a bizarre phantom carnival — and their souls are the price of admission. 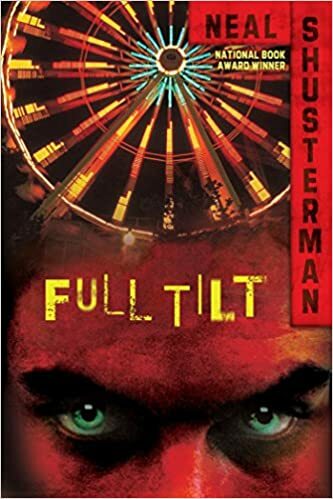 In order to save his brother, and himself, Blake must survive seven different carnival rides before dawn. Seven rides…it sounds easy. But each ride is full of unexpected dangers, because each ride is a reflection of one of Blake’s deepest fears. And the last ride is the worst one of all. Because that’s the one that confronts Blake with a terrifying secret from his past — a secret he’s been running from for years. 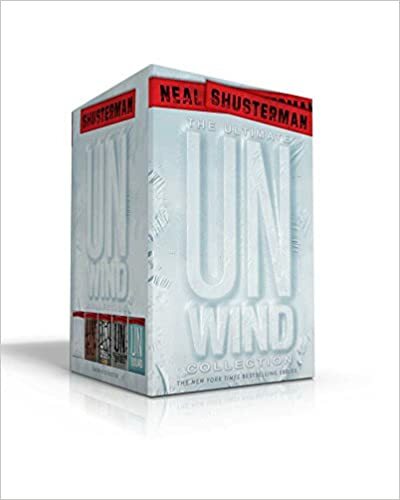 Tennyson is not surprised, really, when his family begins to fall apart, or when his twin sister, Brontë, starts dating the misunderstood bully, Brewster (or The Bruiser, as the entire high school calls him). Tennyson is determined to get to the bottom of The Bruiser’s reputation, even if it means gearing up for a fight. Brontë, on the other hand, thinks there’s something special underneath that tough exterior. And she’s right…but neither she nor Tennyson is prepared for the truth of what lies below the surface. Beneath the sewer grates and manholes of the city lies a strange and secret world called the Downside. Every Downsider knows that it’s forbidden to go Topside, and most fear a collision of the two worlds. 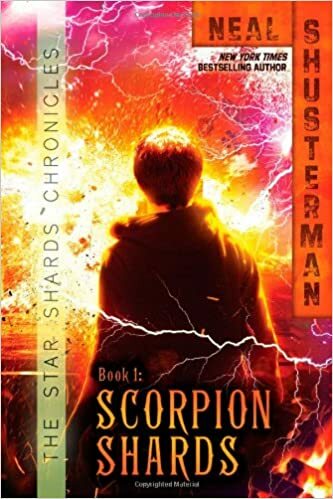 But fourteen-year-old Talon is curious about what goes on above ground, and one day he ventures out in search of medicine for his ailing sister. There he meets Lindsay, who is as curious about Talon’s world as he is about hers. When Lindsay visits the Downside for the first time, she marvels at the spirit of the Downsiders, and the way they create works of art from topside “trash,” like old subway tokens and forgotten earrings. As awed as she is by the Downside, however, she also questions its origins, and when she finds out that this fantastic world is not all it appears to be, she is determined to tell Talon the truth. Then a construction accident threatens to crush Talon’s world, and his loyalty is put to the test. Can the truth save the Downside, or will it destroy an entire civilization? Imagine being trapped forever in someone else’s nightmare, with no means of escape. Or caught on one of the most terrifying roller coasters of all time, when suddenly the tracks ahead just disappear. 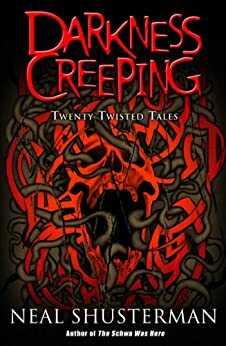 Enter the world of Darkness Creeping, where hollow-eyed skulls arrive in the mail and nothing is as it seems. 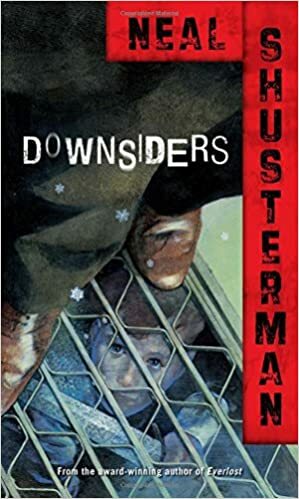 After their home burns down, fourteen-year-old Nick, his younger brother, and their father move into a ramshackle Victorian house they’ve inherited. When Nick opens the door to his attic room, he’s hit in the head by a toaster. That’s just the beginning of his weird experiences with the old junk stored up there. After getting rid of the odd antiques in a garage sale, Nick befriends some local kids-Mitch, Caitlin, and Vincent-and they discover that all of the objects have extraordinary properties. What’s more, Nick figures out that the attic is a strange magnetic vortex, which attracts all sorts of trouble. It’s as if the attic itself has an intelligence . . . and a purpose. Ultimately Nick learns that the genius Nikola Tesla placed the items-his last inventions-in the attic as part of a larger plan that he mathematically predicted. Nick and his new friends must retrieve everything that was sold at the garage sale and keep it safe. 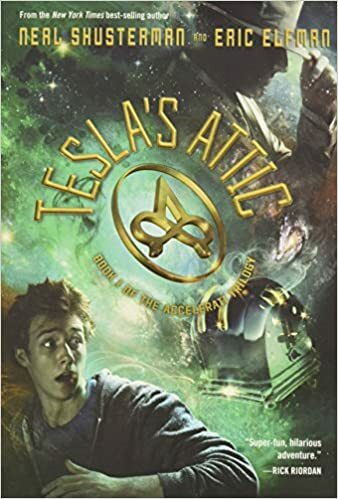 But the task is fraught with peril-in addition to the dangers inherent in Tesla’s mysterious and powerful creations, a secret society of physicists, the Accelerati, is determined to stop Nick and alter destiny to achieve its own devious ends. It’s a lot for a guy to handle, especially when he’d much rather fly under the radar as the new kid in town. 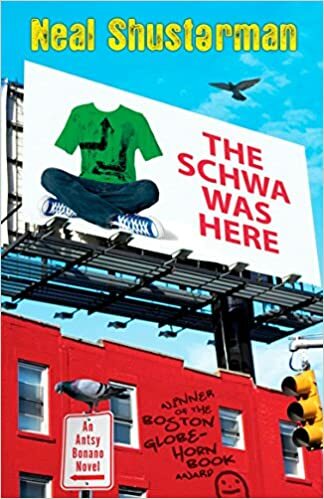 Antsy Bonano, narrator of The Schwa Was Here, is back with another crazy tale. This time, Antsy signs a month of his life over to his “dying” classmate Gunnar Umlaut. 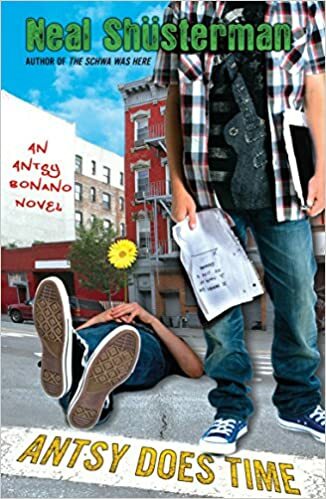 Soon everyone at school follows suit, giving new meaning to the idea of “living on borrowed time.” But does Gunnar really have six months to live, or is news of his imminent death greatly exaggerated? And when a family member suffers a heart attack after donating two years to Gunnar, Antsy starts to wonder if he has tempted fate by trying to play God . . . . 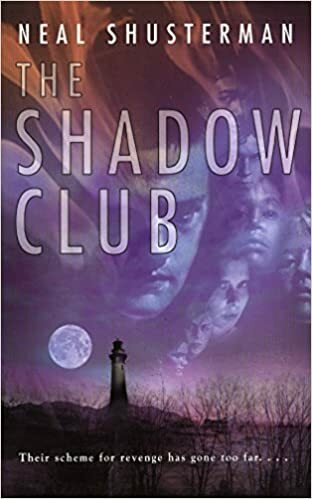 The Shadow Club starts simply enough: the kids who are tired of being second-best get together and, for the first time, talk about how they feel. 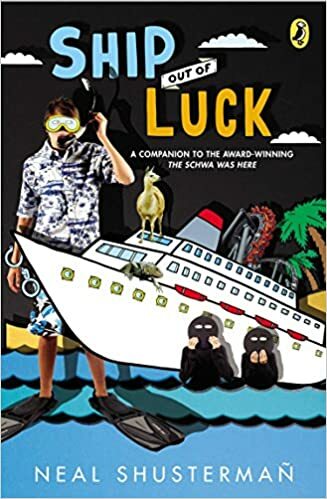 But soon the members decide to play practical jokes on the first-place winners they envy, and things begin to spin dangerously out of control. Preston Scott was only twelve years old when his father killed his mother. He never saw it coming. Despite his parents’ constant fighting, Preston always thought they were perfect together. He never dreamed his father would be capable of murder. Then again, who could ever predict something like this? Fast forward: Preston is now fourteen. His father has just been released from jail and is moving near his grandparents’ house, where Preston and his younger brother Tyler have been living. 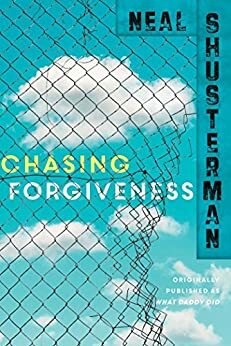 His grandparents forgave his dad long ago for killing their daughter, and although Preston tries to feel the same kind of forgiveness, it’s not easy: he’ll never see his mother again, and yet, he still loves his father. How is that possible? Will Preston ever be able to reconcile his dueling feelings for his father, and move past this tragedy? Kevin Midas is sick of being picked on, teased and tormented. So when he finds a pair of magical sunglasses that give him the power to do–well, anything–he couldn’t be happier. At first, Kevin spends his time pulling ice cream cones out of the air and getting every video game he ever wanted. But then he turns to darker wishes. What if he used the glasses to get revenge? 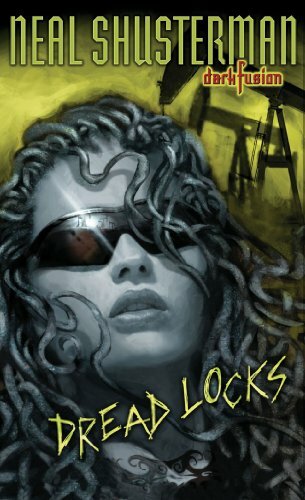 Dread Locks is the first entry in the Dark Fusion series from master storyteller Neal Shusterman. He cleverly weaves together familiar parts of fairy tales and Greek mythology to tell the story of fourteen-year-old Parker Bear, rich and utterly bored with life—until a new girl arrives in town. Tara’s eyes are always hidden behind designer sunglasses, and her hair, blond with glimmering spirals, seems almost alive. Parker watches, fascinated, as one by one Tara chooses high school students to befriend; he even helps her by making the necessary introductions. Over time, her “friends” develop strange quirks, such as drinking gallons of milk, eating dirt, and becoming lethargic. By the time Parker realizes what Tara is doing, he is too embroiled to stop her. In fact, she has endowed him with certain cravings of his own. 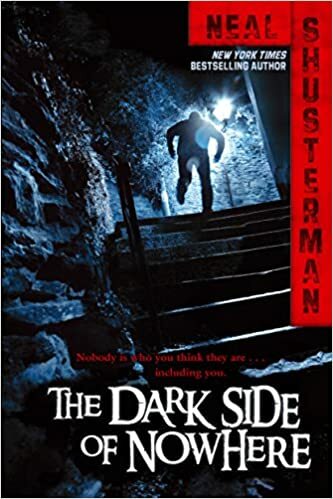 . . .To say more would spoil the spooky fun of this wild thriller—let the twist speak for itself and leave you still as a statue.